''Hecho A Mano''...... Made by hand. There is just something about those three words that tells you that what you are looking at is something special. In Mexico, it can be something as simple and satisfying as a good cigar or as complex as a finely woven Yucatecan hammock. 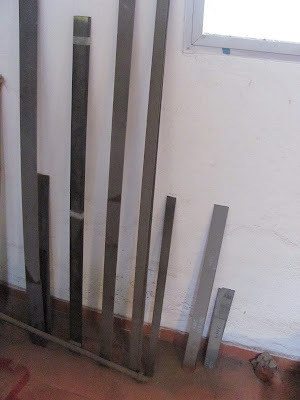 Here, a lot of things are ''Hecho A Mano''. We first met Jeff Ware at the AANY Show last year in Mérida. He had a display of pocket knives, kitchen knives and hunting / camping knives that were beautiful, sturdy, functional and sharp. They were all made by him, by hand. Before Fathers Day rolled around that year, I knew that I wanted to get my father something special. Something from Mexico, our new home. Something ''Hecho A Mano''. I contacted Jeff and told him what I was thinking about. A single blade pocket knife with a wood handle, engraving on the blade, and of course the silver escutcheon pinned to the handle with nickel silver pins (hammered and polished 1920's silver 10 centavo pieces that Jeff finds locally). I mentioned that my father was 80 years old and that it was a Fathers Day gift. 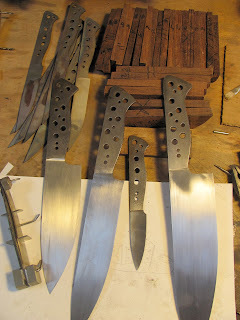 A couple weeks later I went to Jeff's shop to pick up the knife. I was amazed at the craftsmanship, how sharp it was, and just the feel of it in my hand. The handle was made from local Dzalam wood. 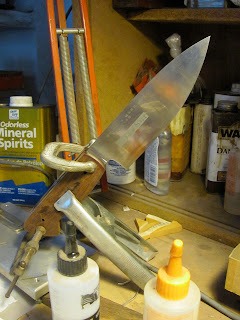 Jeff explained how he had made the handle a little more slender so that it would be comfortable to carry. Noting my fathers age, he made the spring a little thinner so that it would be easier to open, the thumb notch on the blade was a little bigger and easier to grasp. He gave me a tour of his workshop and showed me the tools that he uses to make his knives. I was very pleased with his work and I'm sure my father was as well. 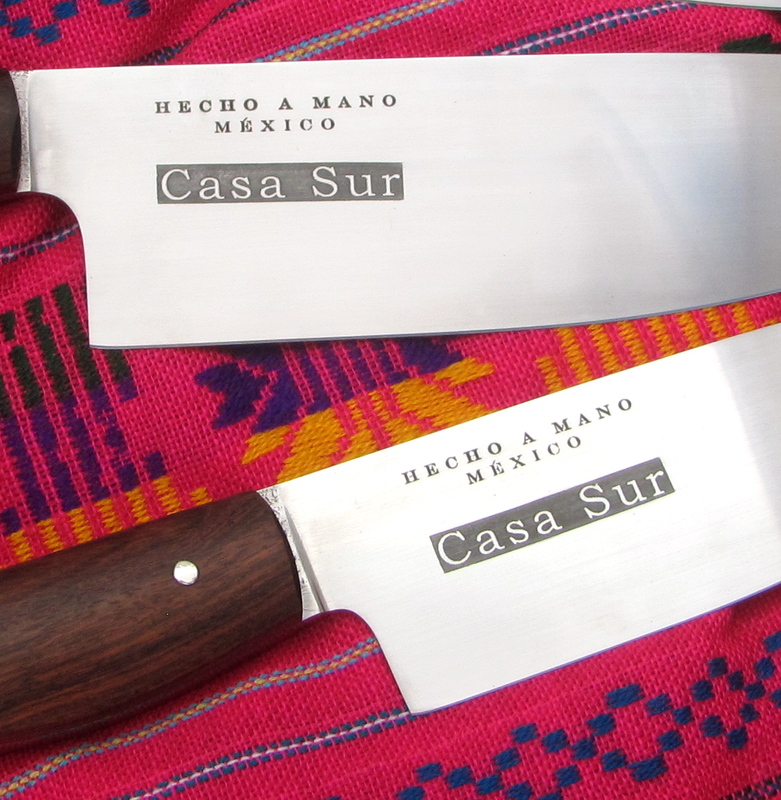 Fast forward almost a year........When Sara was constructing her kitchen in Casa Sur, I knew that I had to get Jeff to make her a set of kitchen knives. She is quite the cook and a good set of knives are important. It is a lengthy process to make these knives and I couldn't begin to explain it but you can read about it here. It is an interesting and informative read. 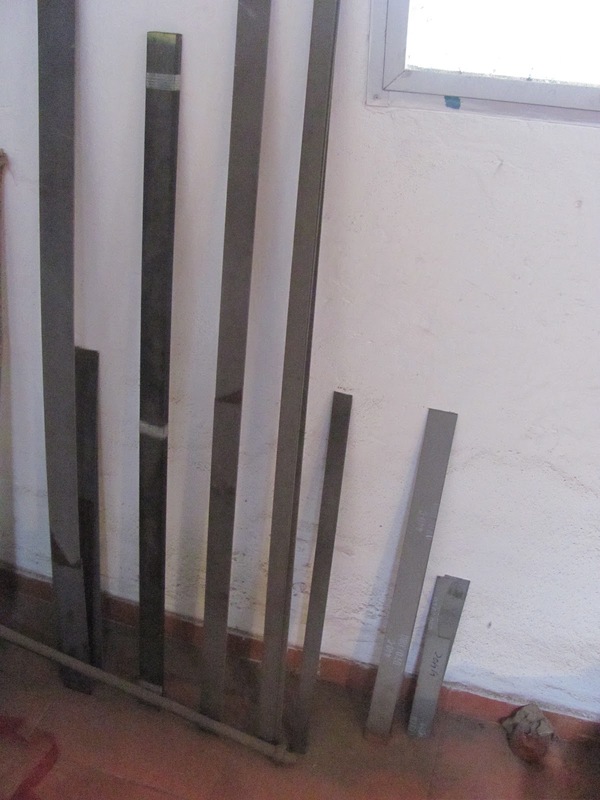 Jeff has quite an interesting and inspirational story about how he came to be a knife maker in Mérida, learning from a matchete maker in the mountains of Oaxaca years ago. You can read his story here . Our knives will see alot of use and we are very proud to own them, as will our grandkids someday. These are beautiful. I know I will need a set when our house is finished! 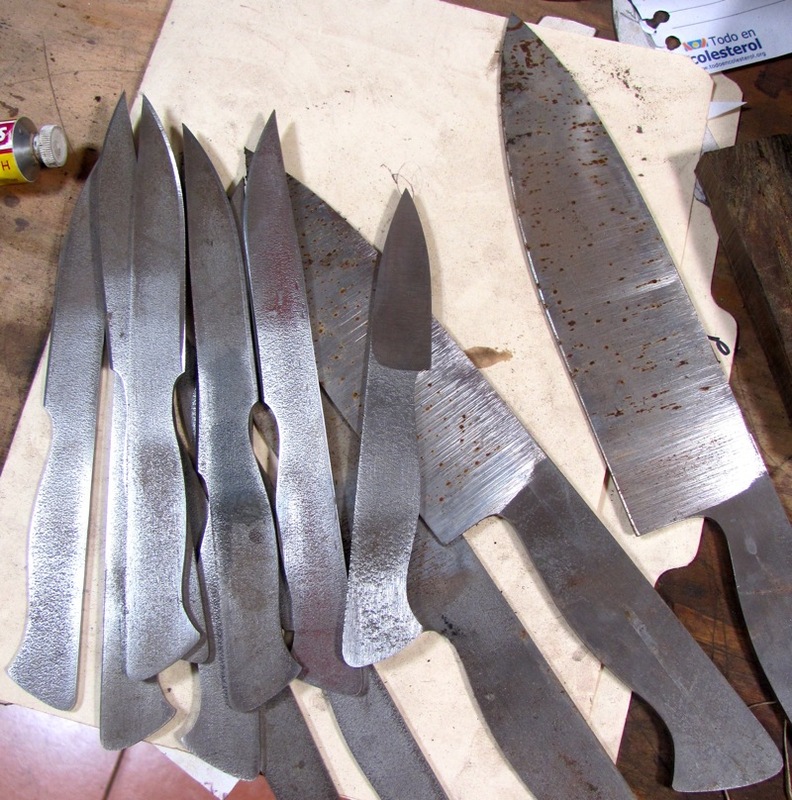 You'll be glad you got them Pat, they are really good knives. Speaking of houses, yours is coming along great. I check your blog daily for new pics. 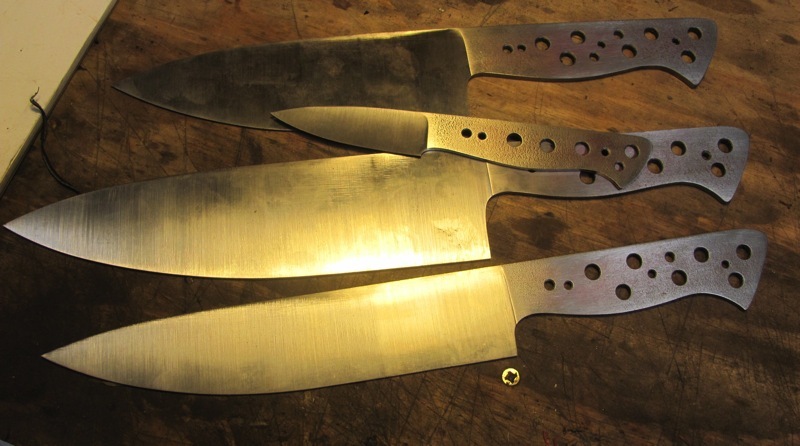 These knives are truly beautiful and should provide generations of cooks cherished heirlooms. Thanks guys, Jeff is quite the artesano. That's amazing; what a fantastic craftsman! Thanks for all the photos of the process. It was really interesting. Thanks Nancy. Jeff has quite a story on his website that I linked. It is interesting! We must have these for our Merida home! The only question: What will our house name be? Looking forward to this future life in Merida and friendship with the two of you!